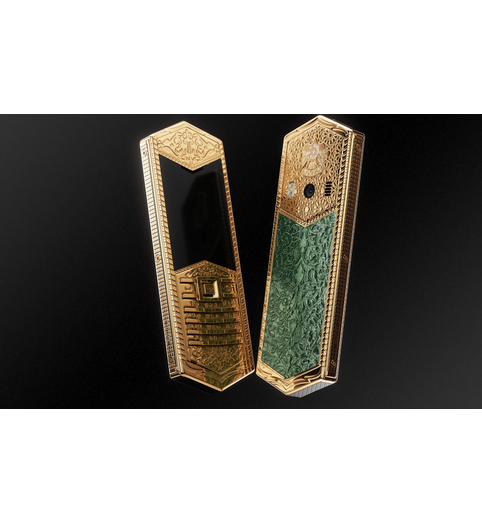 Golden Sheikh The extreme luxury in the new Tsar Phone model by Caviar! 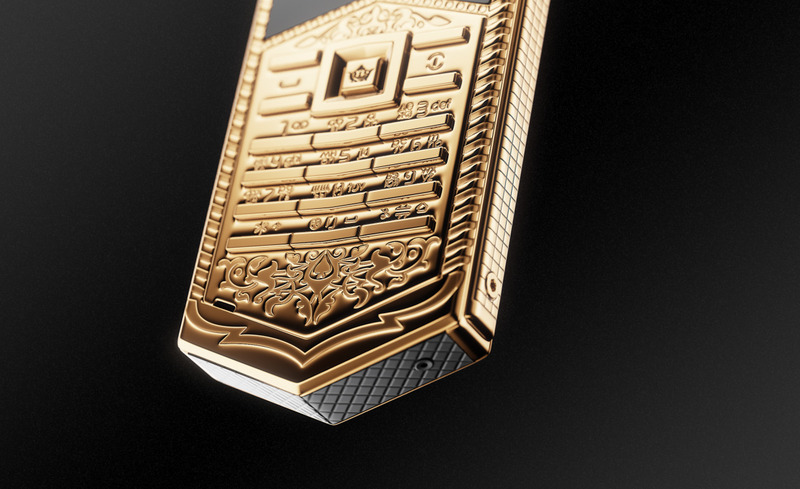 An unusual push-button phone, the hexagonal shape of which causes associations with a sword, is dedicated to the personality of Sheikh Zayed bin Sultan Al Nahyan and is completely made of gold! Just imagine – (столько-то по весу) of precious metal in your hands! Decorated with diamonds and elegant engravings, this phone amazes just like the great deeds of the great sheikh – the first president of the UAE do, who is rightly considered the father of nation in his home country, who made the desert burst into blossom! 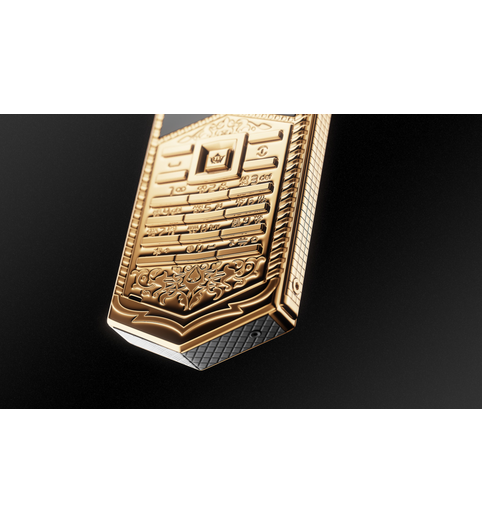 The gold phone will shine like a precious bar in the hands of those who are worth considering themselves successors of the great sheikh. 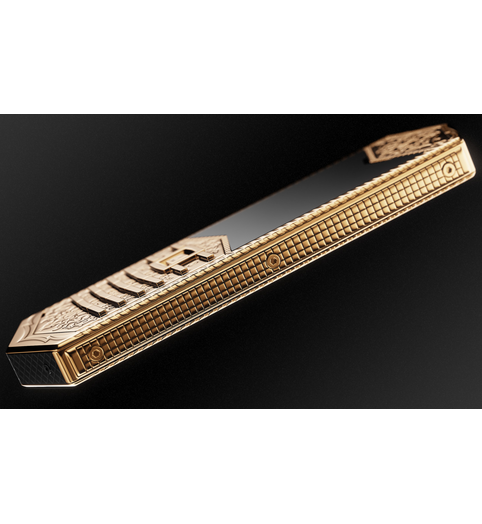 Thisamazing phone weighs over 300 grams. 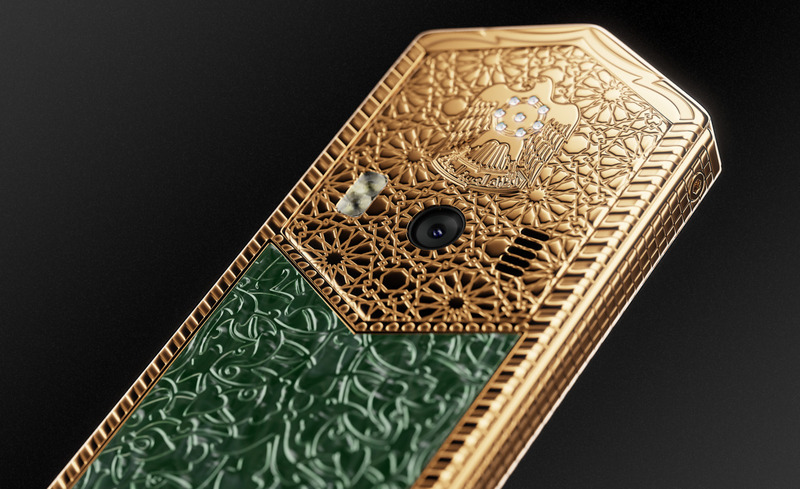 Caviar is going to release only 7 copies of this unbelievable phone, according to the number of the Arab Emirates. Hopefully, the treasure will be spread evenly throughout the country – one copy to each emirate! 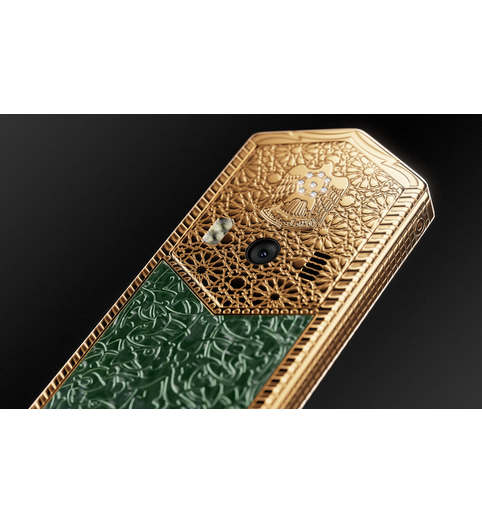 The extreme luxury in the new Tsar Phone model by Caviar! 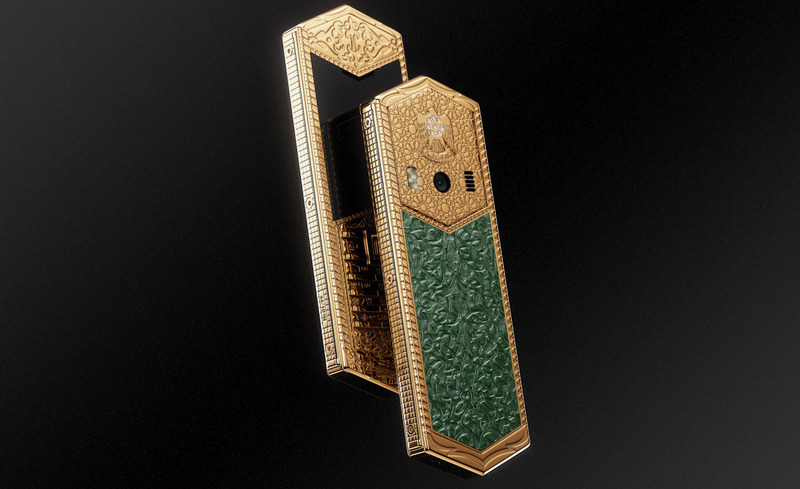 An unusual push-button phone, the hexagonal shape of which causes associations with a sword, is dedicated to the personality of Sheikh Zayed bin Sultan Al Nahyan and is completely made of gold! 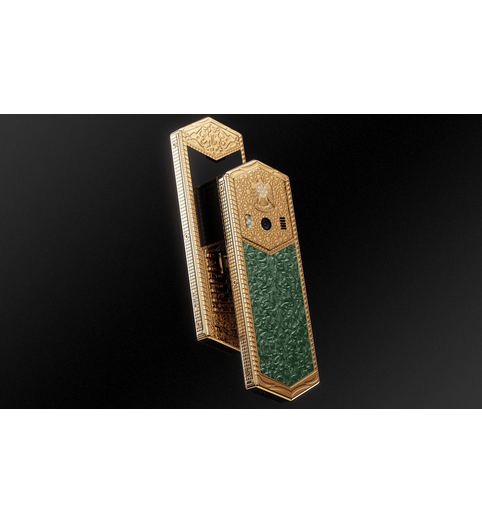 Just imagine – (столько-то по весу) of precious metal in your hands! 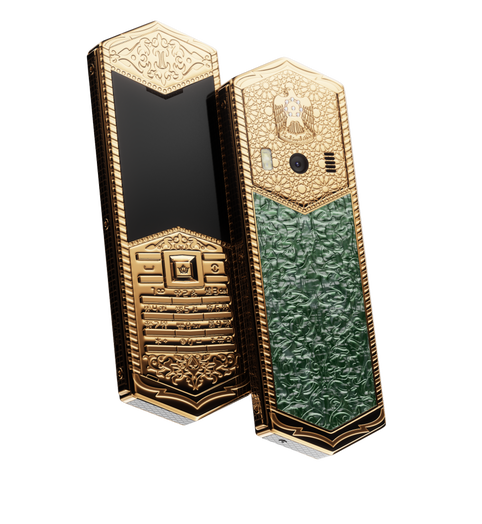 Decorated with diamonds and elegant engravings, this phone amazes just like the great deeds of the great sheikh – the first president of the UAE do, who is rightly considered the father of nation in his home country, who made the desert burst into blossom! 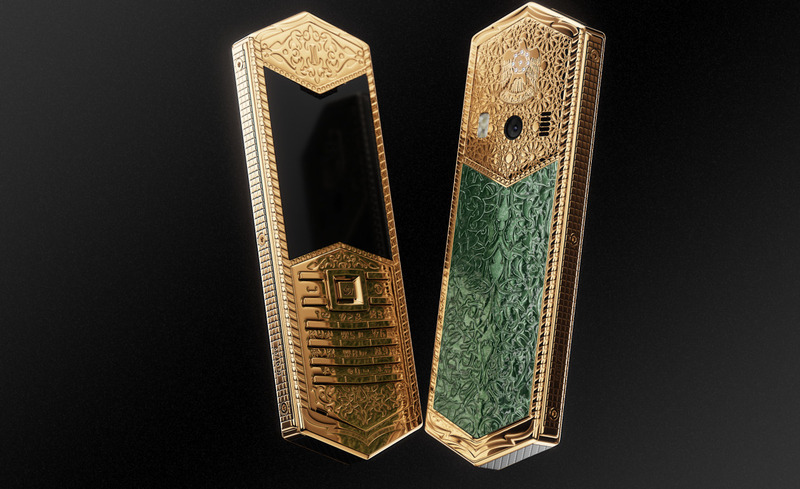 The gold phone will shine like a precious bar in the hands of those who are worth considering themselves successors of the great sheikh. Thisamazing phone weighs over 300 grams. 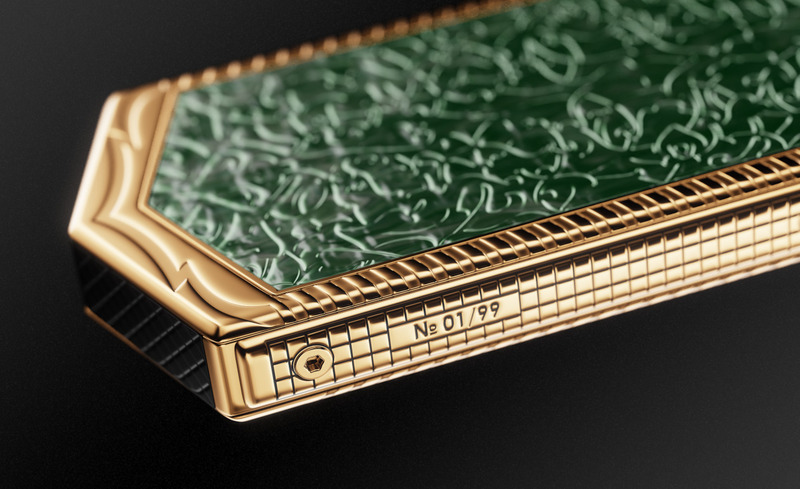 Caviar is going to release only 7 copies of this unbelievable phone, according to the number of the Arab Emirates. 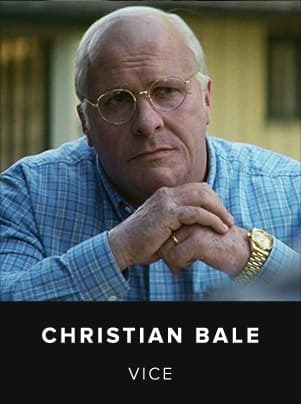 Hopefully, the treasure will be spread evenly throughout the country – one copy to each emirate! 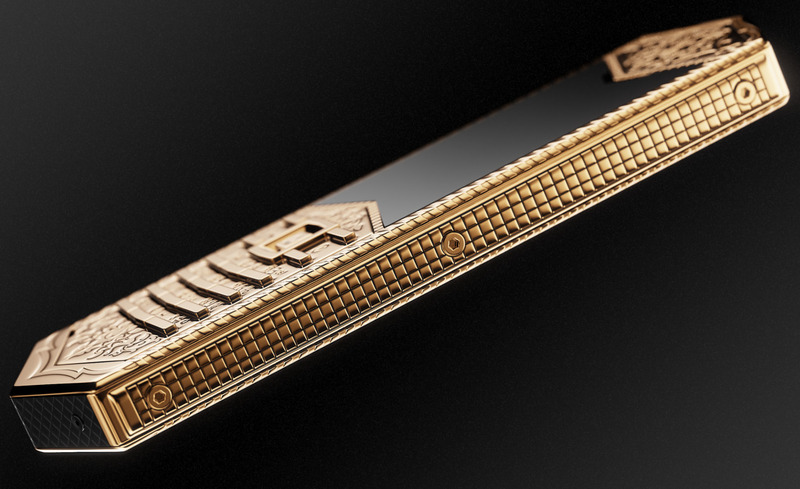 Completely gold body, gold of 24 carats. 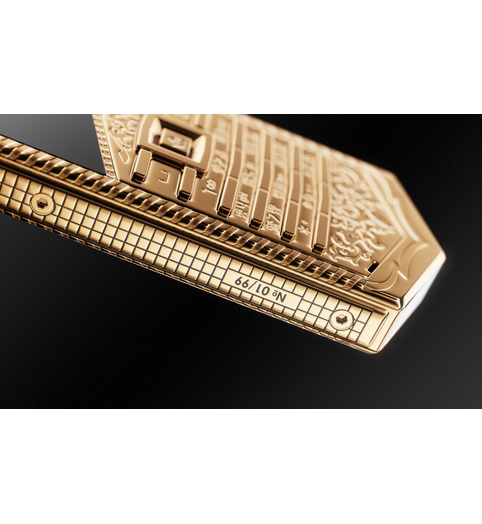 The number of the limited series is engraved on the side facets, bolts of gold titanium. 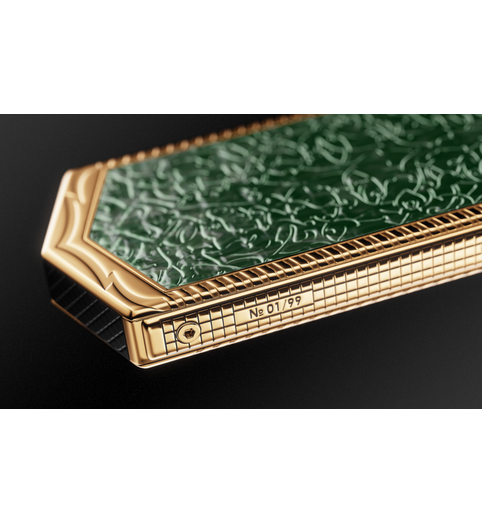 Tapisserie guilloche. 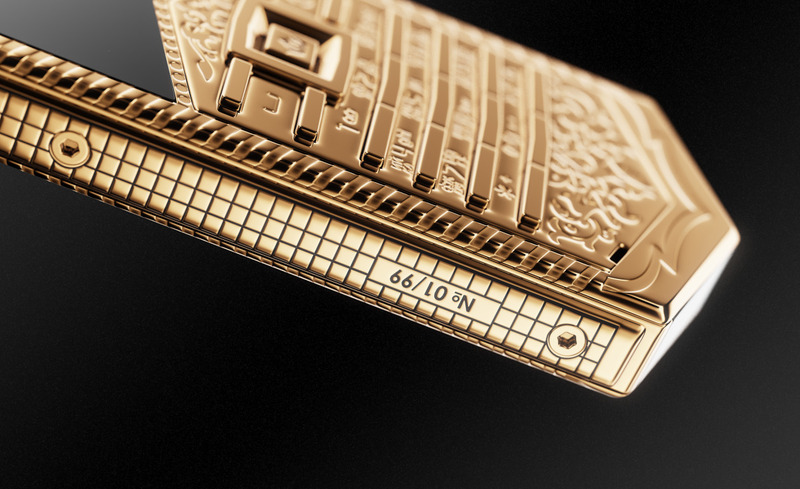 Gold, 24 carats, engraving of traditional patterns in the Islamic culture, the emblem of the UAE, insert of 8 diamonds.